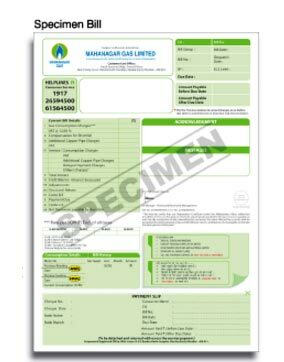 The general billing pattern is to bill for gas consumption every two months. The first bill is on ACTUAL gas consumption as per the meter reading. The second one is on ASSESSED basis. Thereafter, the cycle of billing alternately by Actual Reading and Accessed Reading is repeated. What do (A) and (E) represent? The letter (A) after the previous/ closing reading indicates that it is an ASSESSED Reading. Whenever Actual Reading is not available, for any reason, the bill is generated on ESTIMATED basis. In this case, the letter (E) is indicated after the previous/ closing reading given on the bill. For estimation, average of last 6 bills is taken. In cases where gas usage started less than 1 year ago and less than 3 actual bills were generated, then estimation is done on average gas consumption. Remember: Your bill is based on Actual Meter Reading if neither (A) nor (E) is mentioned after closing reading on your bill. On the reverse side of ACTUAL bill, meter photograph is provided. The more you consume, the higher the rate. Presently (As in July 2016) there are 3 Slab Rates. Slab I = Rs. 21.96/SCM, Slab II = Rs. 26.01/SCM, Slab III = Rs. 33.36/SCM. (SCM – Standard Cubic Meter) · Slab III rates vary month on month. Applicable rounding off is carried out for gas consumption by SAP. (a) Remember your billing date. In case of ASSESSED & ESTIMATED Bill, along with the mentioning of (A) & (E) respectively after closing reading, relevant message is also provided on the reverse side of the bill. Meter photograph is obviously not provided in such cases.